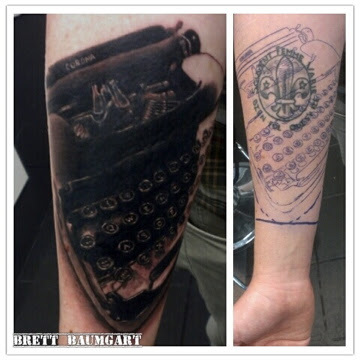 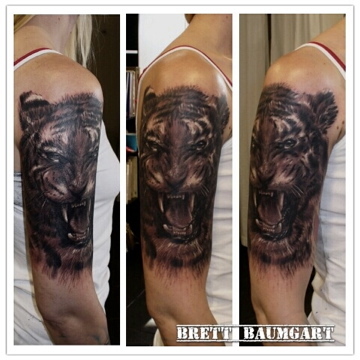 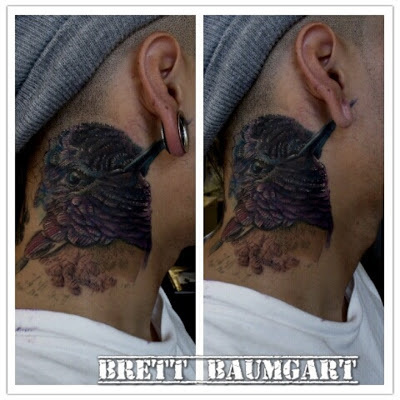 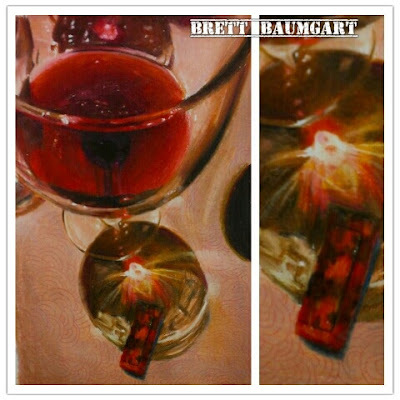 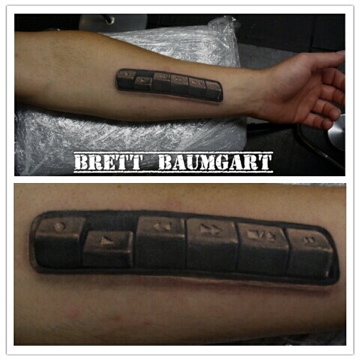 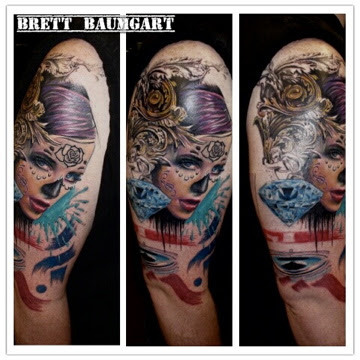 Brett Baumgart has been killing it lately! 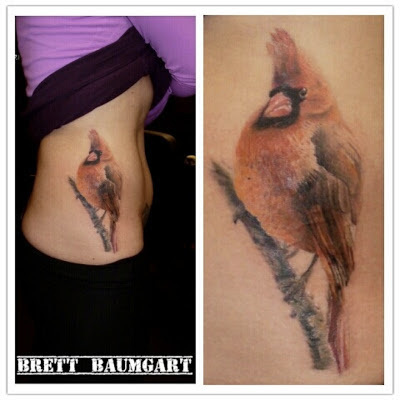 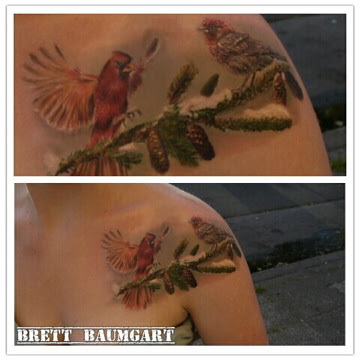 Check out some new tattoo work and a couple of new color pencil drawings! Color Pencil Drawing. 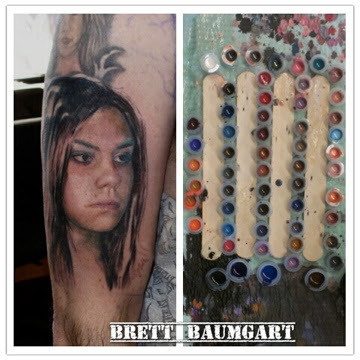 A gift for Brett Baumgarts father. 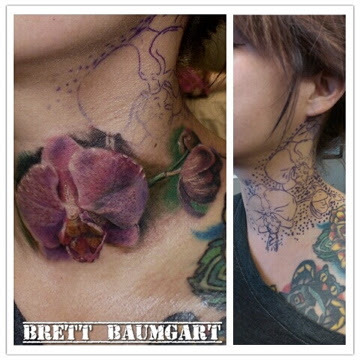 Realistic Orchid tattooed on Michelle. 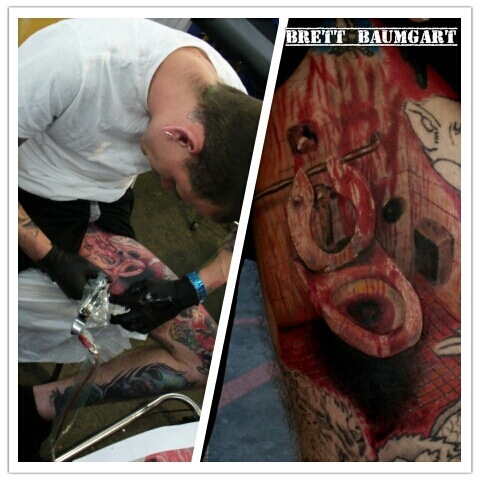 Brett Baumgart tattooing himself at the Body Art Expo in SF. 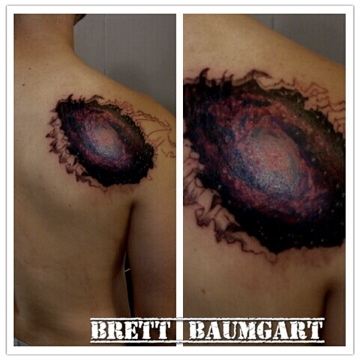 partially completed galaxy tattoo WAY more to go! 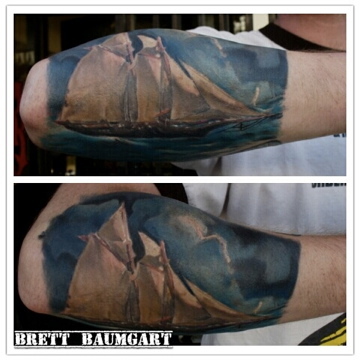 Watercolor portrait of a ship on Hunters arm.